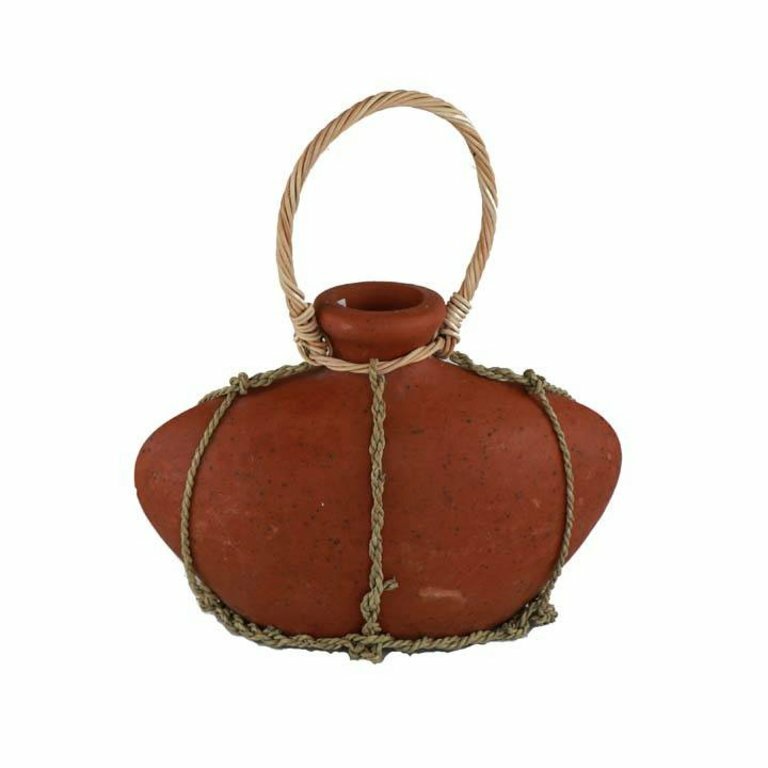 Medium Terracotta water Vessel with woven handles. 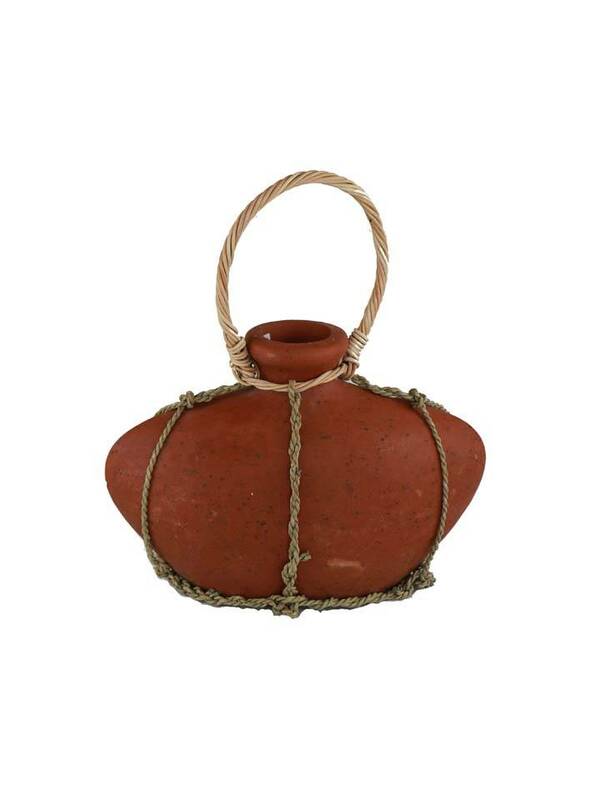 Our vintage terracotta vessels have handmade woven handles. They were used to carry water back and forth to the villages. They are one of a kind and not one is the same.